How do babies see colors? Home » Babies » How Do Babies See Colors? In case you didn’t know, babies don’t see colors the same way as adults do. 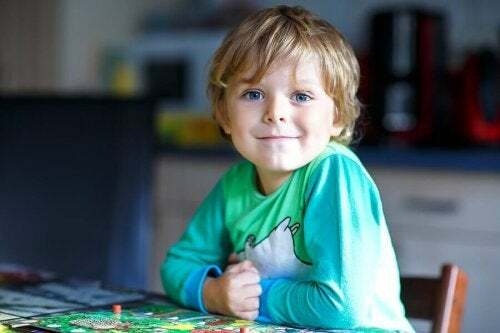 A study by the University of Sussex reveals why and explains the phases through which a child passes to distinguish all colors uniformly. Children begin speaking between the ages of 18 and 24 months, which makes understanding how they perceive the world around them a challenge. Yet this is something that the Baby Lab at the University of Sussex intends to decipher through the Rainbow Project. Among other things, the Rainbow Project aims to decipher how babies see the colors around them. For example, contrary to what many believed, babies do not see in black and white. For babies, the world changes rapidly and steadily. 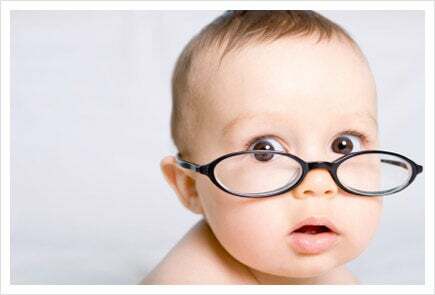 When they are born, they actually see everything blurred, with a visual acuity of only 5% relative to that of adults. The fact that children can see does not mean they have perfect vision. In the first few months, their vision is very limited and as time goes on, they begin to distinguish more colors and can focus more. 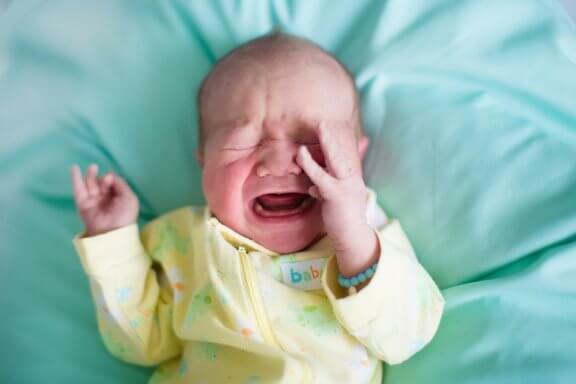 This is why newborns appear cross-eyed. What they see well is at a distance of about 30 centimeters, and they are not able to focus on more distant objects or people. Stereoscopic vision is the mechanism that makes it possible to collect 3-D visual information, and it is not yet available to infants. They see everything in two dimensions and have no depth perception. Interestingly, after several months they can distinguish faces 30 cm away, which is the approximate distance between the mother’s breast and face. The fact that we can see the world in color is thanks to specialized cells of the retina known as cones, which exist in three forms. Although babies are born with all three types of cones, it takes time for them to mature and for the brain to understand the signals it receives from them. At two months old, babies can distinguish between red and green, and later between blue and yellow. However, they have to be saturated, flashy colors. A baby cannot perceive a fuzzy green but can detect an intense green, for example. With the help of 400 babies between the ages of four and six months, and after about three years of testing, researches concluded that at four months, babies see different shades of green as the same color. Adults, on the other hand, can distinguish between a washed-out green and a dark green. Obtaining this information about babies would not have been easy without technological help. 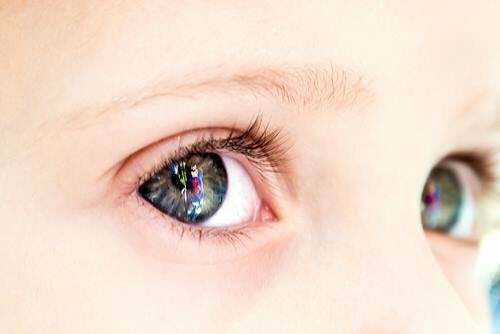 Thanks to a system of visual registration that places children in front of a screen showing a background in one color and a circle with another color, researchers could capture the reflections of the children’s corneas and position of their pupils. What they were trying to see was if the baby’s gaze was redirected to the center point of the screen with more or less saturated colors. The result was that the more striking colors caught their eyes. The colors changed as soon as each child stopped paying attention to the central circle. But this was not the only clever idea. Once it was determined that the little participant was no longer interested in the procedure, the screen would produce a clip from a cartoon series, and once again the little one was fascinated by what the screen offered. 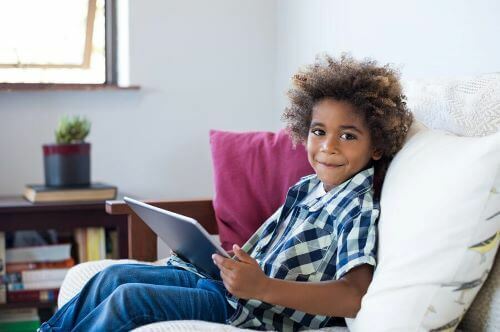 Today, experts in children’s color vision can say that their research has contributed to the development of toys, plays and television series aimed at children, as well as to early tests that investigate deficiencies in color vision. Babies’ ability to distinguish faded colors also improves over time, but there are still doubts about whether all colors have to be equally saturated in order to be perceived. For instance, it is not yet known if babies can see sky blue better than a rose color or vice versa.